My daughter’s summer camp ended today. It was a mini academy, held in July, and was attended only by girls. The campers got to select the courses that they wanted to pursue, and my daughter—a proud, self-proclaimed “science geek” and “engineering nerd”—signed up for robotics, computer tech, advanced math, STEAM games, and culinary arts! (Yep, even Madame Curie had to know how to make an omelette. After all, even geniuses have to eat now and then.) Mattel, makers of the career-hopping, professional-parachuting Barbie, acknowledges that the girls today would not be content just to imagine a life as Ken’s main squeeze, or even as a teenage fashion model. 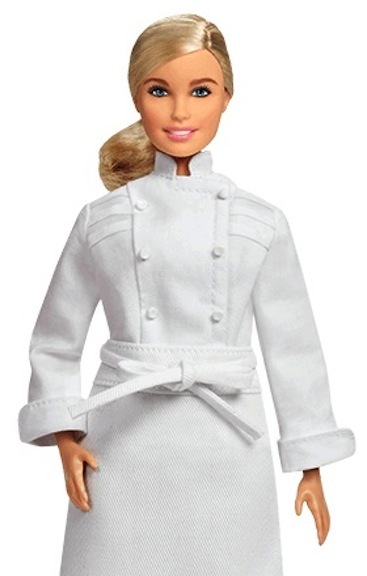 That’s why Mattel rolls out its really inspirational and aspirational Shero dolls. The latest batch, which hopefully will end up being made as pink-box possibilities, are an amazing blend of athletes, filmmakers, chefs, journalists, and pretty much every occupation that a young woman might dream about attaining one day. The truly amazing thing about the Shero lineup is that with determination and dedication, a formidable mind-set and a belief in one’s inherent abilities, all girls—yes, all women—can attain that Shero status. 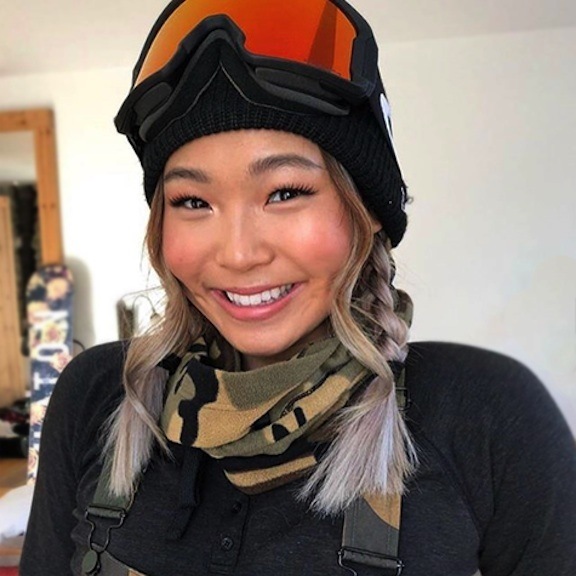 During the winter Olympics, everyone’s heart was stolen by snowboarder Chloe Kim. America’s sweetheart wasn’t a sorority girl who is known for her fashion sense and shy smile. No, Ms. Kim was an energetic dynamo who grabbed a gold medal because of her nerve and verve. 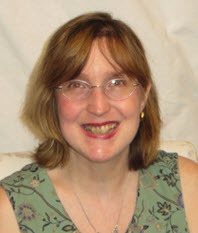 Having secured a medal because of her high-flying scoring, Kim could have bowed out of her final run. However, she went out there and showed what “no guts, no glory” really means. She ascended into the air, way higher than anyone could have imagined, and showed the world that she is a pint-size powerhouse. Marta Wojciechowska is a Polish journalist and globe-hopper, who has fought for women’s rights around the world, just like a Shero should. Never mind a teenage fashion doll, this is a teenage snowboarding champion. Back during her Olympic run, I opined whether she’d become a Barbie doll. 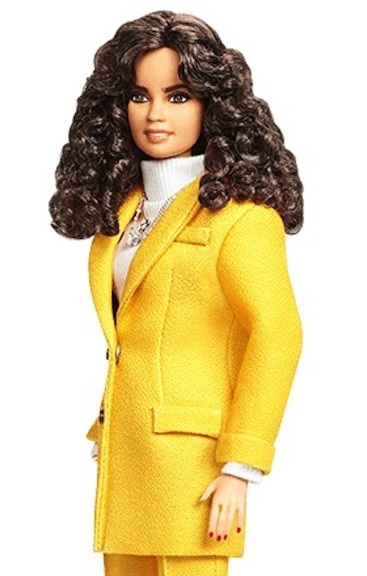 I am so glad to see that she was made as one of Mattel’s Shero dolls. 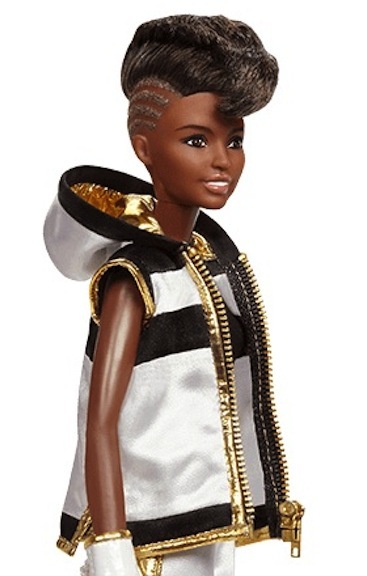 As a matter of fact, each and every Shero doll for 2018 is a rock-and-roll, high-flying superstar in her own category. These are all women who reach for the stars and dazzle us with their professional orbits! Joining Ms. Kim for 2018 are 10 other exemplary women who were made into dolls, a tribute to their feminist achievements embodied in the so-called most feminine plaything: a doll. The class of 2018 Shero Barbie dolls are Chloe Kim (snowboarder), Patty Jenkins (film director), Nicola Adams (boxer), Bindi Irwin (conservationist), Hui Ruoqi (volleyball champion), Hélène Darroze (chef), Sara Gama (soccer player), Martyna Wojciechowska (journalist), Xiaotong Guan (actress and philanthropist), Yuan Yuan Tan (prima ballerina), and Leyla Piedayesh (designer and entrepreneur). 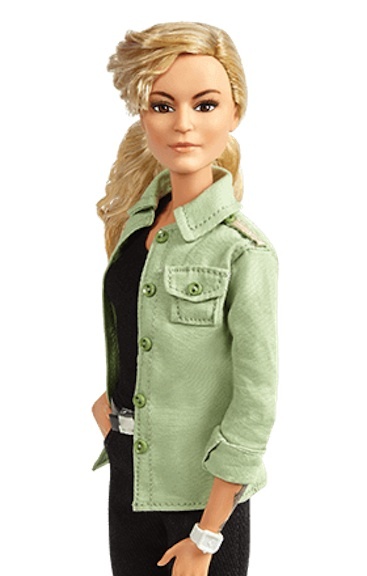 The Shero class for 2018 is one of the largest that Mattel has ever unveiled. 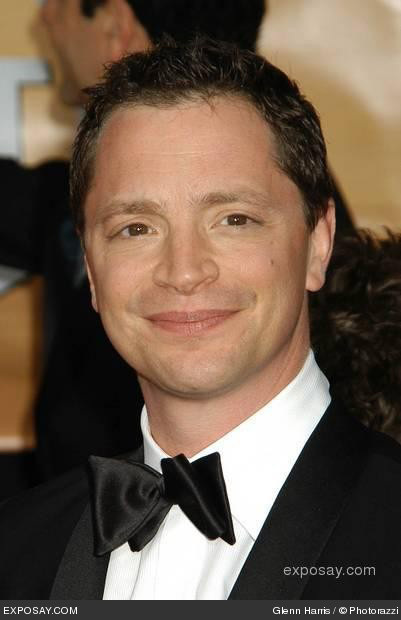 In the past I’ve saluted their selection of Olympian Gabby Douglas, fencing champion Ibtihaj Muhammad, ballet phenomenon Misty Copeland, body activist Ashley Graham, and film director Ava Duvernay among others. The women who have been handpicked to be made as Shero dolls prove that beauty, brains, drive, ambition, vision, and accomplishments come in no standard size. Each of these women is a role model, and each one is a unique and original individual in her own right. The Shero women dare to defy the odds; they beat expectations; they carve out their own paths and destinies. They are indeed heroic, and they do indeed capture all of the adjectives that accompany trailblazers and independent thinkers. 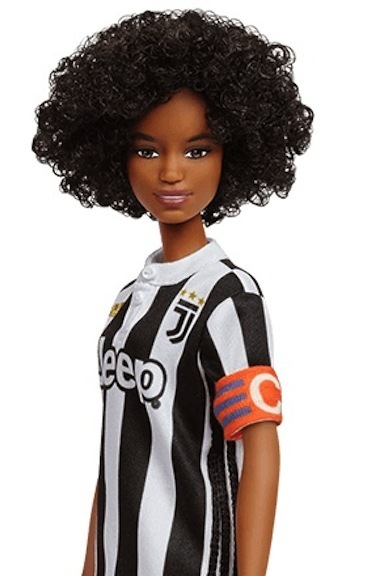 Sara Gama, world-renowned soccer player from Italy, was chosen to be a Shero doll. 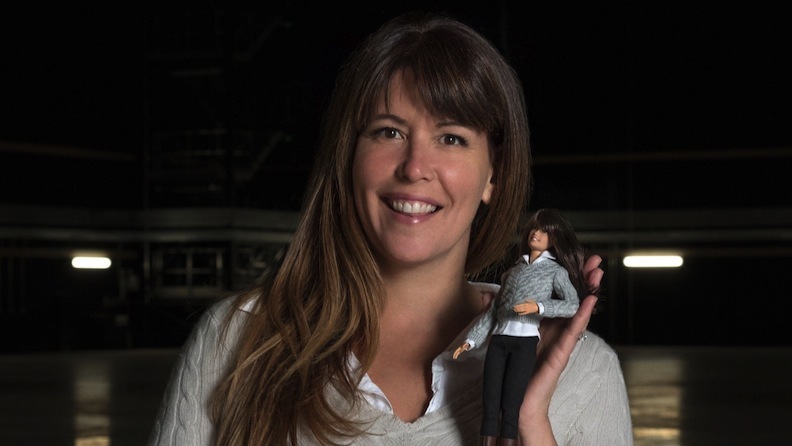 The Shero dolls were first introduced in 2015, and the intention was to highlight the accomplishments of real-life women from around the globe. The 2018 group include achieving women who hail from China, Germany, Mexico, Poland, Italy, Spain, Turkey, France, Australia, the United Kingdom, and the United States. These women represent the best that their nations can offer, and in many cases, they far exceed what is expected of women in their cultures and in their societies. 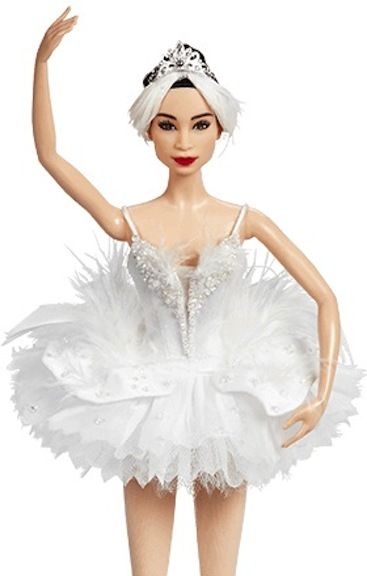 Considered China’s greatest ballerina, Yuan Yuan Tan is hailed as a Mattel Shero. Born in Tehran, Iran, and living these days in Berlin, Germany, Leyla Piedayesh is a fashion icon, businesswoman, and Shero. 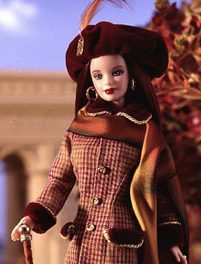 Mattel knows that as long as women continue to grow into their own skins, and as long as girls realize they can dream as big and as far as they desire, the Shero line of dolls will know no bounds. Mattel rolled out a hashtag to honor the Shero momentum: #MoreRoleModels. I agree 100%: #AboutTime. Fifty Shades of Red: Fall invites artists to experiment with the autumnal auburn highlights. 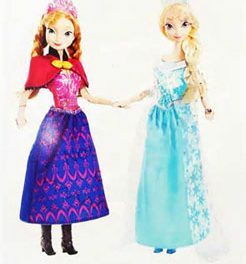 “Frozen” Fever: The Internet is heating up with speculation about Disney’s cool fall release.